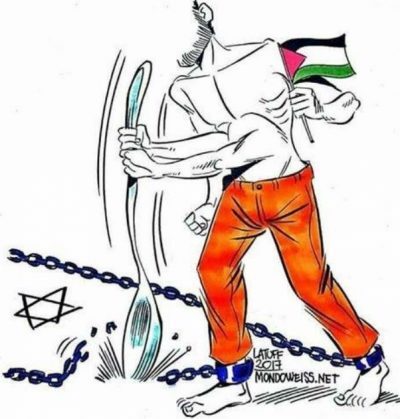 The Palestinian Prisoners’ Society (PPS) has reported, Thursday, that a detainee from Bethlehem, in the occupied West Bank, started a hunger strike nine days earlier, protesting being held under arbitrary Administrative Detention orders, without charges or trial. The PPS stated that one of its lawyers managed to visit Jamal Alqam, 48, who is held in solitary confinement in Ofer Israeli prison near Ramallah. The detainee told the lawyer that he is determined to continue his strike until his illegal detention is ended. Alqam suffers from a preexisting heart condition, and is already feeling constant fatigue, but is determined to continue his strike. Alqam is also a former political prisoner who was held by Israel for twelve years, and was taken prisoner again in 2007, before being held under Administrative Detention orders for one year. He was rearrested in May of this year, and received an Administrative Detention order for four months, without charges or trial. It is worth mentioning that two other detainees are currently holding hunger strikes; Khader Adnan from Jenin, who started his strike five days ago, protesting Administrative Detention, and Omran Khatib from Gaza, who started his strike 33 days ago, demanding early release.